When a Rolex Daytona steelcase is sold for $ 400’000, when a Francis Bacon triptique reaches $ 142 million whereas the correct price is half of it, then we have a problem. The entire Auction market is trusted by hundreds of people around the world who has in average between 20 to 40 million dollars to spend in luxury goods every year. This means that certain objects, no matter if they are Art, Fashion items or Antiques, will see their price double or triple. People with this level of purchase power takes it as a hobby or a challenge. Every year the prestigious Forbes magazine update their list of top world billionaires. There are some interesting findings when you compare the new list with last year. In the world there are 1’645 billionaires. They all aggregate a $ 6.4 trillion. This is $ 1 trillion more than last year! Fortunes are growing fast, we can even say faster and faster. The emerging markets produce amazing opportunities for current established businesses and of course new ones. If we take the example of Brazil, there are 65 billionaires currently and almost 200 millionaires in the country. Still in Latin America, Carlos Slim Helu, from Mexico, stole the place of number one richest person on earth for several years from Bill Gates. Only this year Bill Gates could take the number one place with his $ 77 billion personal fortune. One of the biggest dollars gainer this year is Marc Zuckerberg from Facebook. He went from a ridiculous $ 15.2 billion to a $ 28.7 billion. Happy birthday 30 year old Marc! The billionaire wave strikes even stronger in China, Malaysia, Taiwan or Indonesia. China has in 2014 more than 152 billionaires and you should add 45 more from HongKong. And they are still far behind the USA with its 492 billionaires (source wikipedia). So as we can see, despite the fact money does not grow in fields, some people know how to make it grow. But what should you do with all this money? Some people like Bill Gates invest in Philanthropy, others, well, buy stuff. Most of the time they buy things they do not need, they buy things they desire. And this makes all the difference. One interesting way to spend money, especially if you are a billionaire or a multi-millionaire, is the auctions market. From Arts, to Antiques, you can easily invest your money on things you can see, feel, touch, see… It is there and you know finally where physically your money is. Once you become a billionaire, probably one thing that money helps to do is to fulfill your dreams or at least to answer to all your desires. When you observe what happens in the auction market right now, you realize there are people who are basically giving away their money, not because it is worth it, but because they can. Auction houses like Christie’s or Sotheby’s do not see this fire as a great joy. It is changing artificially the market price and it will generate an unnecessary unbalance in the incoming years. Christie’s declared in their annual report a $ 7.1 billion sales in 2013 which is +16% vs 2012. 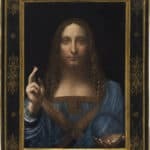 $ 2.2 billion was only Modern and contemporary art. New buyers represented 30% of 2013 activities and accounted for 22% of all sales. Christie’s activities in India and China grew by 44% which shows the power of emerging countries. Sotheby’s is also gaining market share as they crossed the important mark of $ 1 billion. Also boosted by Asian markets, they got amazing auctions that could give you the vertigo. What was supposed to be exceptional, becomes the day-to-day business at the auction market. Once every 5 years an auction would reach a high price and tackle some old record. Today, it is almost every month. Last year when Francis Bacon triptique about Lucien Freud reached $ 142 million in one auction, we started realizing that the limit level is much higher now. Money is not a problem. Or when a Rolex Daytona in steel reached $ 400’000, we wonder if the real price of things are taken in consideration. November was a record for Christie’s. In one single auction, the sales reached $ 691.6 million. And all of this was last year. This year, the figures are much higher. This month Christie’s reached the biggest auction ever with $ 745 million. Paintings fueled by Francis Bacon and Barnett Newman. Billionaires from all over the world attended to the auction. Some of them came physically, others were in contact by phone. According to Bloomberg, from the 72 lots offered, 4 of them reached $ 50 million and 63 lots crossed the $ 1 million line. Connoisseurs would alert that an artist like Bacon worth today twice his price because of this auction craziness. Moreover, Bloomberg interviewed auction expert Asher Edelman and one sentence on the interview strikes like a rock in a mirror: “I do not know what money means anymore“. What are the consequences of this Luxury highway to hell? What we know is that all these amazing objects goes from one collection to another. When it comes for art, we see valuable pieces of culture literally vanishing to hide inside private collections. By rising prices in such ways, no museums in the world will be able to compete with these private billionaires collectors. It is like if the world patrimony disappeared for the pleasure of little few. The biggest private art collection is the one from Philip Niarchos, the son of a shipping magnate. His private art collection reaches an estimated $ 2 billion. It contains self-portraits of Vincent Van Gogh and Picasso. You can be sure that until you see them in a museum, you will probably be too old to get there. Possession and desire are two mad ideas that lives in our human being minds. The ancient greeks used to say that even the Greek gods themselves were jealous of our capacity to desire something or someone so strong. Why? Because when you can have everything, life becomes boring. By exploding the prices of the world heritage, we loose a healthy idea of “the true value of things” and we keep entire generations to access such amazing pieces of Men’ talent. I suppose we are all a little bit lost in translation. Info sourced at Forbes, Businessweek, Wikipedia and Quartz. Featured image sourced here. All content is copyrighted with no reproduction rights available.